·luminance: ≥12000Lx ·Color Temperature: 3000±500k ·Mains Voltage: ~220V±22V 50Hz±1Hz ·Rated Voltage of Bulb: 24V ·Rated Power of Bulb : 25W Package : wooden box or paper box . 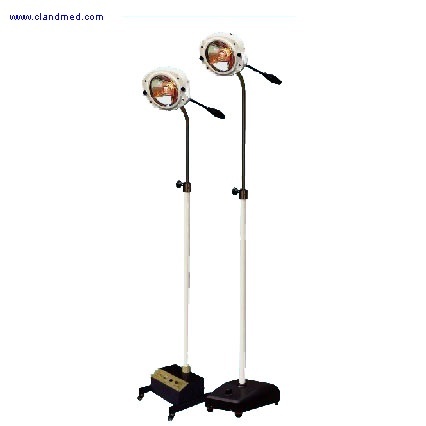 Description : Cold Light Operating Lamp is fit for auxiliary lighting for medical examination on ears,nose,oral cavity,urinary system and gynaecology . AC/DC Emergency cold light operating lamp meets the requirements of lighting for surgical operationsin special circumstances or where there is no power supply. When there is power failure from electric grid or due to some other reasons ,emergency power back up ctechnical data: an last 2 hours continuously to make sure that the operation can be do normally . It is fit for auxiliary lighting for medical examination on ears,nose,oral cavity,urinary system an dgynaecology . Looking for ideal Operation Lamp Manufacturer & supplier ? We have a wide selection at great prices to help you get creative. All the Light Operation Lamp are quality guaranteed. We are China Origin Factory of Cold Light Operation Lamp. If you have any question, please feel free to contact us.